If you have been actively following the MYSUN blog, you would have come across Part 1 of our blog series on common myths around solar energy, specifically rooftop solar. The aim of doing these series of posts is to try and reason out and explain some of the common notions that people have in context of solar energy or solar system, or perhaps solar in general are incorrect. This is not to establish, that everything you know about or read about solar is inaccurate or incomplete but simply that everything that you hear may not be the most accurate version. We captured five common myths and explained them in the first part of this article, and this new piece shall try and cater to five more such common misconceptions. For a more accurate take, you can always head over to our Solar Essentials page that has all the information you need before deciding to go solar. As Alan Watts puts it aptly, ‘A myth is an image in terms of which we try to make sense of the world’. So before you go about building your solar world based on perceptions, let’s address them logically one by one. We all love our houses and properties, in fact a lot of effort and financial resources have gone into building it. It would be foolishness to install something on top of it, which could lead to its damage or a collapse. Fortunately, installing a solar panel on the rooftop is not equivalent to landing a heavy chopper on your rooftop. There are various well-proven globally accepted norms for installing solar panels on rooftops without any damage to the roofs. 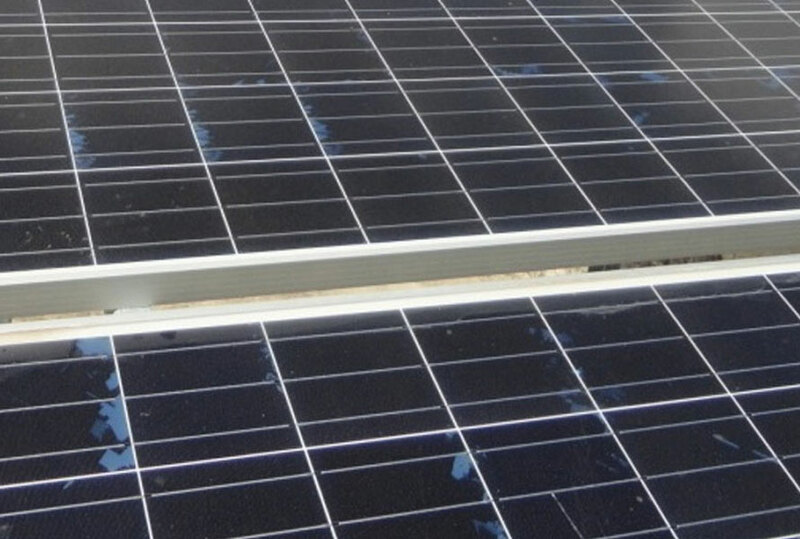 Using mounting rails or even screwing(small puncture) methods have been used quite predominantly.But you should be careful while selecting your solar installer. Read more about different types of roofs and how solar panels can be safely mounted on them here. Most buildings built over the last 20-25 years can be assumed to be safe for installing solar panels. Moreover, if you need some unrelated repair work on the roofs in future, you can get the panels removed, do your repair work and re-install the solar panels. Panels are removable and hence can be easily removed if the roof is to be repaired. On the contrary, solar panels actually protect the roof which they cover from the forces of nature. Add to the fact there are no moving parts and no emission of harmful gasses, solar panels are perfectly safe for your roof. It is true that higher the exposure to the sun, higher would be yield from a solar system. However, a solar PV system can work perfectly efficiently without involving a tracking system. Observations show that a tracking system may increase the solar system efficiency by 15~20 % as compared to a fixed or seasonal tilt systems. However, this increment may not justify the additional expense for everyone. It is like adding spoilers to your car. No doubt that it will enhance the efficiency and get you better performance, but it is up to you to justify the additional cost for the benefit. Also, the tracking system needs higher maintenance and replacement cost due to the involvement of an increased number of moving parts. If you have spent plenty of hours with an architect getting the roof of your mansion, just perfect, it is justified that you are worried about looks. We agree that the thought of beauty being skin deep is not true for houses. However, with today’s technology and the right solar system design and choice of material and workmanship, the solar panels can be installed in a manner so as to ensure that they look great on your roof. Add to that the additional pride that you have of going ‘green’ which can definitely make your neighbors go ‘green’ with envy. Moreover, if you want to keep the look of the building pristine, you may want to consider thin film laminate based solar panels. These will make the panels look as though they are a part of the rooftop only rather than something constructed as an afterthought. Yes, these thin film laminates are more expensive than the usual choice of panels, but they would eventually add value to the property and not to forget, installing them would mean that they pay back the investment within their lifetime alone. There is obviously the option of a shingles like setup that Tesla has come up, more on which can be found here. So, if you are too conscious about the looks, there is a solution for that too, albeit a little expensive one. As much as we would love for that fact that you have electricity 24x7 at your place, this myth is well, a myth. With a solar system installed, the only difference between the power that you and your neighbor, who does not have solar installed, is the source of generation. However, if there is a fault in the transmission line or the entire grid is down, and you are using a grid-tied solar system, you too will be forced to have a candle light dinner, with no power. If there is a maintenance work for example being held on the grid, you will not be left untouched by the same and sadly will have to fall back on the generator system to provide you with power till the grid is restored. However, if you are not connected to the grid or using a battery-backed solar system and the power is being supplied and consumed just by your house, you will have the power when the grid fails. This is a myth that extends from a reputation that has been built. We have heard the same story repeated in the world of electronics, especially phones, where Chinese phones are labeled as cheap devices, with a short lifespan. However, just like in electronics, even in solar, there are Chinese brands that are doing very well. For example, Growatt, a Chinese inverter manufacturing company has the highest market share in Australia when it comes to solar. Similarly, there are names like Trina and Yingli, which are very well trusted, globally. Just like any industry, there are good players and there are bad players, and that is why choosing a right supplier for the system is important, so that he will pay your faith back and not install a sub-standard system. We have spoken a bit more about the myth of Chinese solar products in our post here. It is imperative to say here that you need to be diligent while selecting your solar system installer. Once that is done, please be rest assured that your investment in solar will be amongst your best investments ever. We at MYSUN are there to not only help you find the right solar installer but also be there on your side during the system design, construction and for the 25 years long life of your solar system. With that, we round up our second post on the myths that surround solar. We hope, we are able to bring more and more clarity to you from the world of solar as the series is progressing. Do share your feedbacks, thoughts and comments with us, by mentioning them in the section below or catching us up on our social media profiles.